When it comes to giving your lawn a great chance of looking well there are a lot of factors to consider. Not only do you have to make sure it gets the proper nourishment and water, how you cut your lawn is important as well. In this post, I will give some answer to the question of what height to cut my lawn? Because we all live in different regions, we will all have a different type of grass which thrives in our area. In the US we have three regions which are cool, warm & transitional. All of these areas have a different type of grass that is appropriate for the region. Click Here to get some detail on your regions grass types. Different types thrive better when cut long and others when it is cut short. There are other situations to help you decide how low or high to cut your grass like the season. For instance, cool-season grass is at its best when cut at its recommended highest while warm-season grass is the opposite being a shorter recommended cut range. You can set your grass cutting height by measuring from the ground to the blade of your mower and recording what notch you have your wheels on or what number your lever is on in cases of lithium mowers. Keeping your lawn cut at the proper height will also help you fight against unwanted undesirables in your lawn like batteling Bermuda grass which is an aggressive type of grass that tries to take over your preferred lawn. It does like to grow low so you can drown it out by keeping your lawn cut high to overcome it. This is a major concern in cool-season areas where the grass should be cut anywhere from 2 to 4 inches depending on the grass. 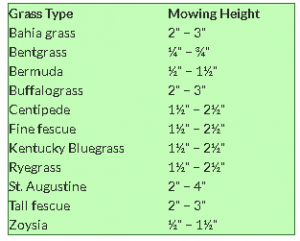 Go Here to help you determine what kind of grass you have. Also keeping it cut right will help you fight off the weeds that try to invade as well. This combined with the proper watering and nourishment should help you have a beautiful lawn year after year. So practice these helpful hints and you will see a difference if you are not already doing so. Thanks for visiting us and feel free to sign up to receive our post as they are published. Please leave any questions or comments in the comments section below. That is a very informative post. We recently bought a new house and had to maintain the lawn the same summer. We live in Canada, so I would consider it as a cool region for the grass. I believe we have Tall Fescue as just it is very close to how our grass looks like. We do have an ordinary lawn mower, so I do not believe we can control the cut of the grass in there. Would you recommend what kind of lawn mover would regulate that? Thank you. Anna, you should be able to adjust the cutting height on it. There should be levers on the wheels to lower or raise the cutting height. Lithium mowers sometimes have one lever that raises the whole cutting deck if you have one of those. 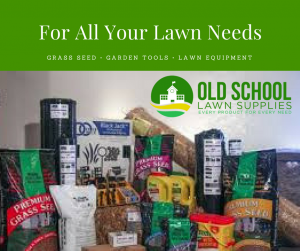 Go to my online store by Clicking Here and there are mowers you can choose from which will suit your needs. We have gas or lithium powered equipment to suit your desire. Thanks for elaborating the main factors to consider when deciding on what height to cut my lawn, Ronnie! Kudos for teaching that proper cutting goes with proper maintenance! Thanks further for enumerating that keeping my lawn cut at the proper height will guard against unwanted undesirables like batteling Bermuda grass and prevent them from taking over my lawn! Kudos! You are very welcome. I try to provide a place where people can go and get some questions answered about their lawn. 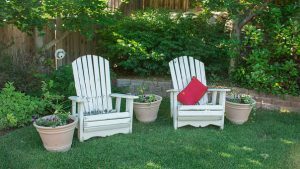 It is good to know the details on what goes on in order to keep a lawn looking healthy. I knew before that you don’t want to cut the grass too short otherwise this will give the weeds a chance to grow. However, I didn’t know about cutting the grass at different heights according to the season. But it does make sense. My only problem is that I do have mainly buffalo grass but there are at least one or two other kinds mixed in there. I’ll have to identify them first to see what median height that I should cut it. But the buffalo grass is spreading among most of my lawn so hopefully, it will take over the other types of grass. Your grass type calls for two to three inches. If I was cutting your lawn I would keep it cut at three inches. This height should be good to keep it healthy and thriving. The most important thing is you have good root foundation as well. If your lawn looks good you are probably doing the right things. I honestly never knew what type of grass we have. I’m from Missouri so we have transitional zone grasses. Thank you for sharing this. Great question. Besides cutting your lawn properly, if you have a lot of weeds you want to use some sort of weed killer but do it the correct way. Over the winter months, you will have dead remains from grass and weeds. It would help to dethatch your lawn to remove it. You may not have to start from scratch. Click Here for a little more information on what could help your lawn look better. I hope this will help you out. I do know that there is a correct length for cutting lawns. But the ‘correct length’ for a big part of our lawn is short enough for a croquet ball to roll properly across it. Thank you for the great information. Way to keep up the good work on your lawn. 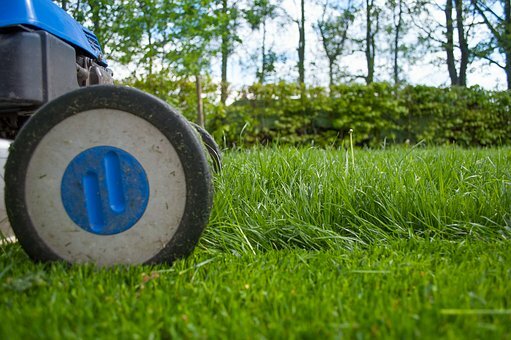 Your lawn should look attractive because you probably cut it regularly.